Saturday, April 29 at CHI Health Good Samaritan Hospital the Buffalo County Sheriff’s Office hosted an RX Takeback event. The event was successful in receiving 565 lbs. of unwanted, unused, or expired prescription medication. We want to thank all the community members who participated. 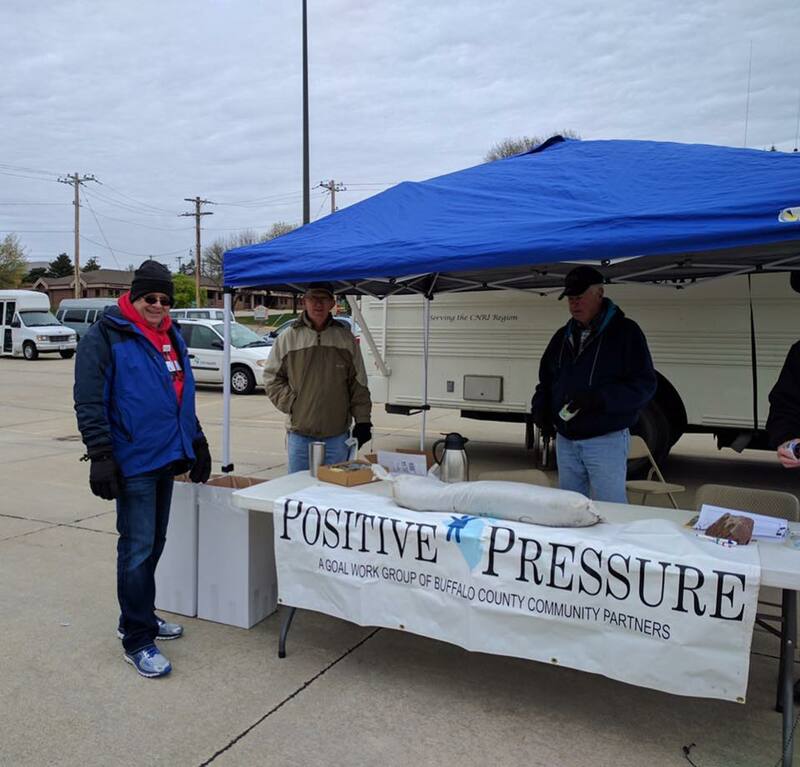 Partners, CHI Health Good Samaritan Hospital, Two Rivers Public Health Department, and Kearney/Holdrege Elks Lodge #984 made this event possible. Volunteers from left to right: Fred Stuart, CHI Pharmacy; Doug Lund, Elks Member; and Bill Sebree ,Elks Member. The volunteers collected 565 lbs. of prescriptions, the most ever collected in Buffalo County! Prescription drug overdose is the top cause of accidental deaths in the US, surpassing car accidents, according to the Centers for Disease Control. Two thirds of Buffalo County teens that use drugs, say they get them from their friends and family without them knowing. Be part of the solution by disposing of your prescriptions properly.